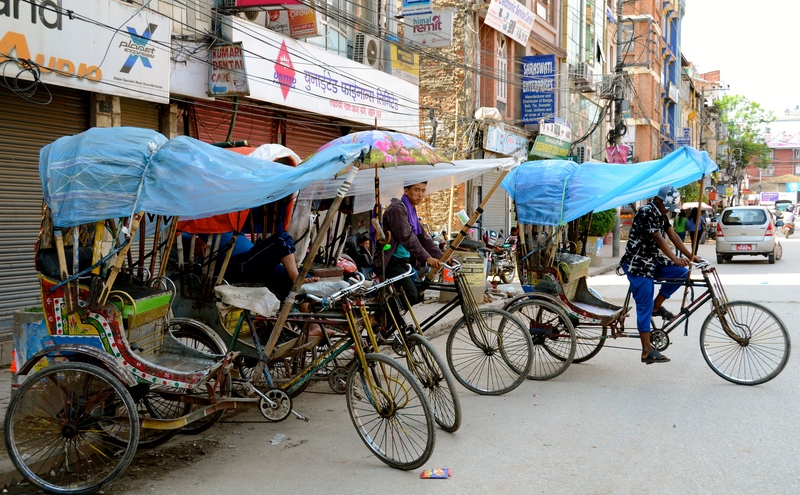 Rickshaw drivers in Kathmandu, Nepal. This entry was posted in Nepal, Photo of the Day 2014 and tagged Kathmandu, Nepal, Photo of the Day, Photography, Rickshaw, Travel on March 24, 2014 by Bill and Paige. In memory… The lighting of a candle evokes memories, peace and love. 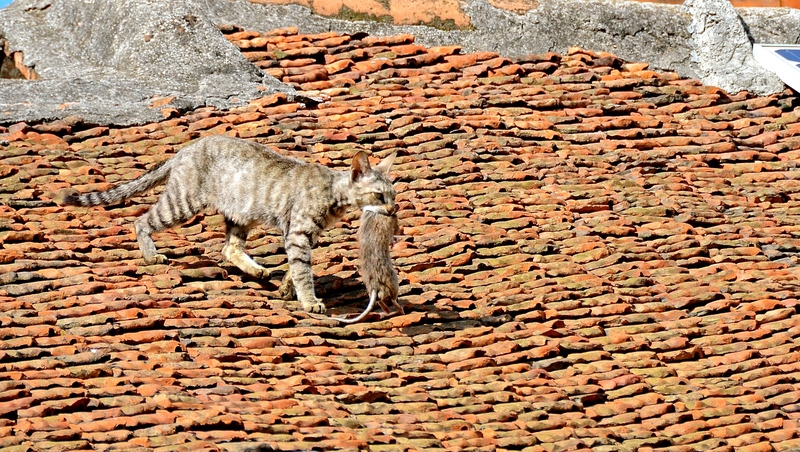 Photo taken in Kathmandu, Nepal. 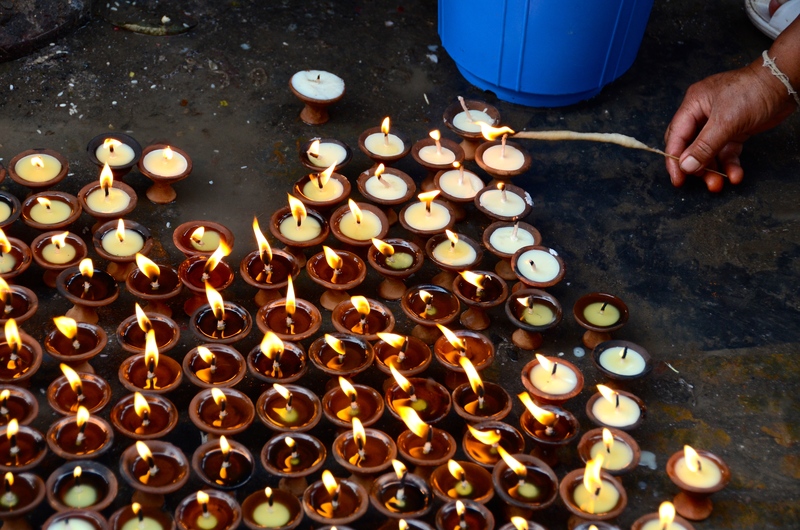 This entry was posted in Nepal, Photo of the Day 2014 and tagged Candles, Love, Memories, Peace, Photo of the Day, Photography, Travel on March 23, 2014 by Bill and Paige. Kumari living goddess. 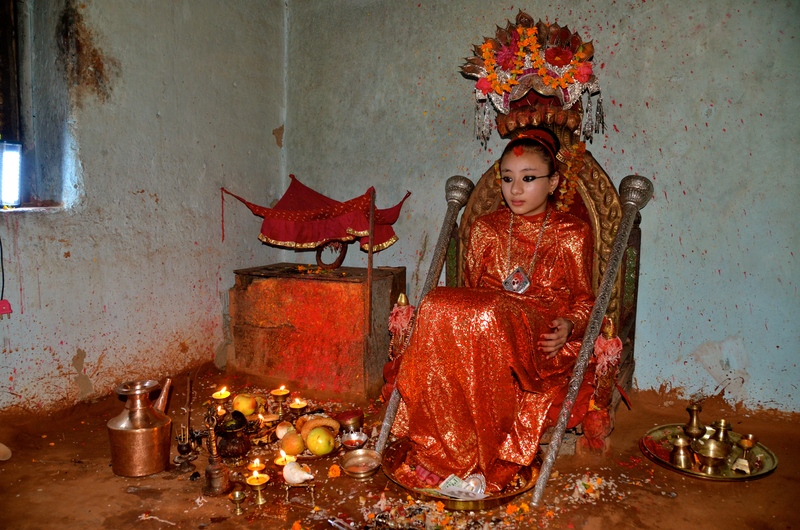 Eleven years old and worshiped by Hindus and Nepali Buddhists. This entry was posted in Nepal, Photo of the Day 2014 and tagged Kathmandu, Kumari Goddess on March 22, 2014 by Bill and Paige. Sādhus – (also known as a religious ascetic or holy person) at Pashupatinath, Hindu Temple – where commerce trumps liberation. Money for photos. 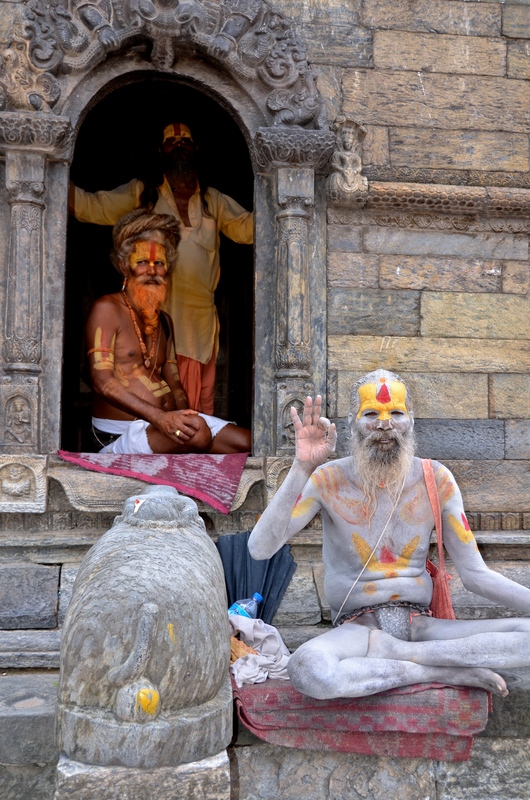 Taken on the banks of the Bagmati River at Pashupatinath, Hindu Temple. 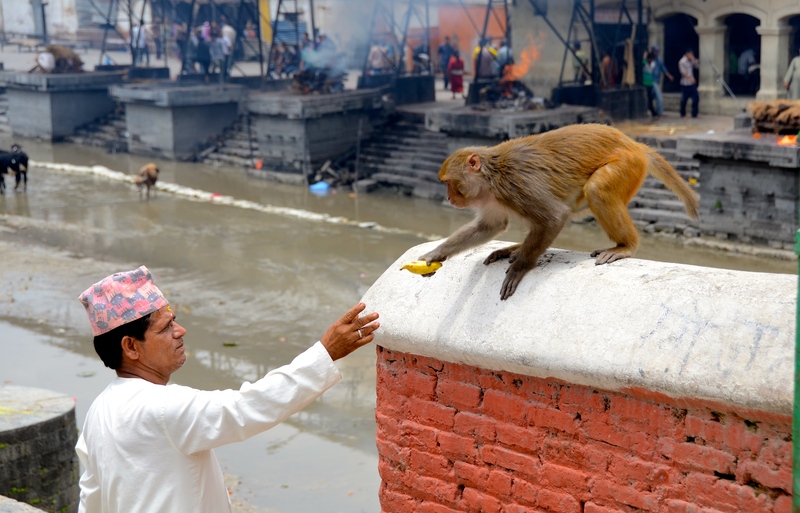 This entry was posted in Nepal, Photo of the Day 2014 and tagged Banana, Kathmandu, Monkey, Nepal, Photo of the Day, Photography, Travel on March 20, 2014 by Bill and Paige. 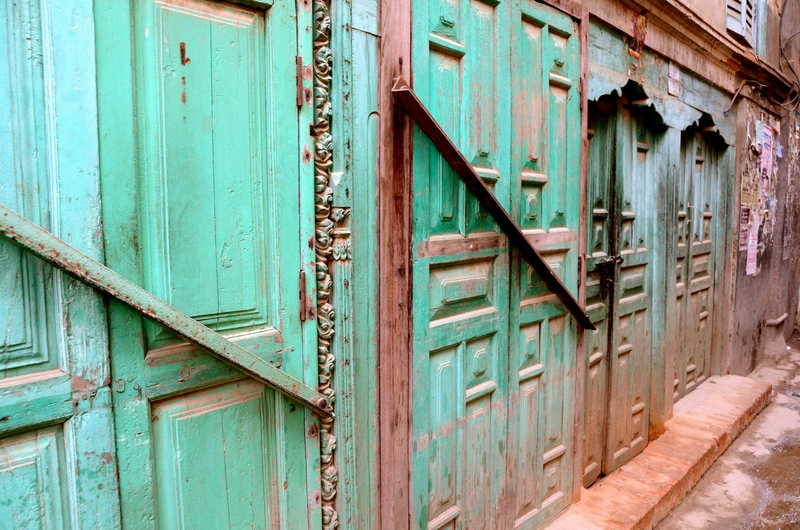 This entry was posted in Nepal, Photo of the Day 2014 and tagged Doors, Kathmandu, Nepal, Photo of the Day, Photography, Travel on March 19, 2014 by Bill and Paige. It’s every cat for themselves. This entry was posted in Nepal, Photo of the Day 2014 and tagged Dinner, Kathmandu, Nepal, Photo of the Day, Photography, Travel on March 18, 2014 by Bill and Paige.